A Hayward woman says a Good Samaritan sprang into action at just the right moment and saved her from a serious injury. Now, she wants to track that person down and thank her. Sergio Quintana reports. 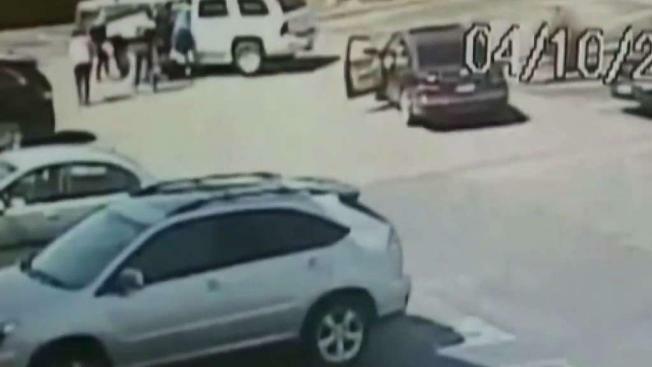 A Hayward, California woman says a Good Samaritan sprang into action at just the right moment and saved her from a serious injury and now, she wants to track that person down and thank her. Cassandra Hunter is still bandaged up from her accident at a Walgreens parking lot Wednesday. She had just walked to her parked SUV and put it in reverse. Forgetting she left the vehicle in gear, she reached down for the item she dropped and the car rolled back, making her fall and get swept under the open door. "My vehicle rolled over my left leg and pinned me down and stopped. From that moment, I yelled 'help,'" Hunter said. "This lady came running." The whole thing was caught on security footage and Hunter hopes to track down the woman who helped her. "When she approached my truck she asked me what she wanted me to do, and I said can you just get the truck off of me," she said. "She immediately got the truck off of me, I don’t remember how she did it." Hunter’s doctor said her leg injury could have been so much worse if the SUV wasn’t moved so quickly. "She responded in an instant, she didn’t even think about it, and for that I’m grateful," Hunter said.